Valve has made Counter-Strike: Global Offensive free-to-play and to celebrate, its launched an all-new Battle Royale mode. The next time players log on, they’ll receive a free, automatic update that will patch in Danger Zone. Valve describes Danger Zone as "a fast-paced battle royale game mode built on CS:GO‘s tactical gameplay where players use their wits, skill, and resources to fight to the finish". Right now there’s one map, Blacksite, and just 18 players in the lobby if you’re playing in a two- or three-person squad – or 16, if you’re a lone wolf – and to survive, you’ll need to "find what you can, order what you need, prepare for the unexpected". A tablet is at your disposal to "track opponents’ positions, track your deliveries, and chart a path to avoid the Danger Zone". As for the weaponry? "Yes. CS:GO‘s guns have the same behaviour and damage in Danger Zone as in other CS:GO game modes," says Valve’s FAQ. "However, since Danger Zone players can have up to 120HP, they may survive encounters that would otherwise be deadly." 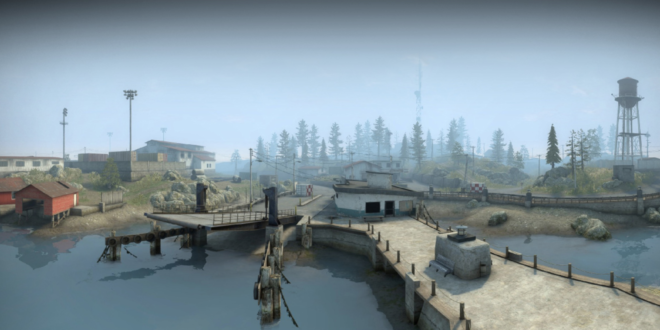 There is a free version of Counter-Strike: GO already available, of course, but that version was a stripped-back edition of the popular shooter released to help new players acclimatise to the game’s maps and systems without straying onto the battlefield. It was a great way to get a feel for the weapons, but you could only experiment against bots as multiplayer was not available. Now, however, Valve has made the full game – with all multiplayer modes and options – fully available for free. All players who had already bought the game before it went F2P will automatically – and without charge – receive Prime Status, which usually costs $15. Prime accounts were initially introduced by Valve to encourage gamers to play without cheating and up until now, you needed to confirm your phone number in Steam and have a Private rank not less than of Lieutenant, or level 21, to secure a CS:GO Prime account.